NEW! 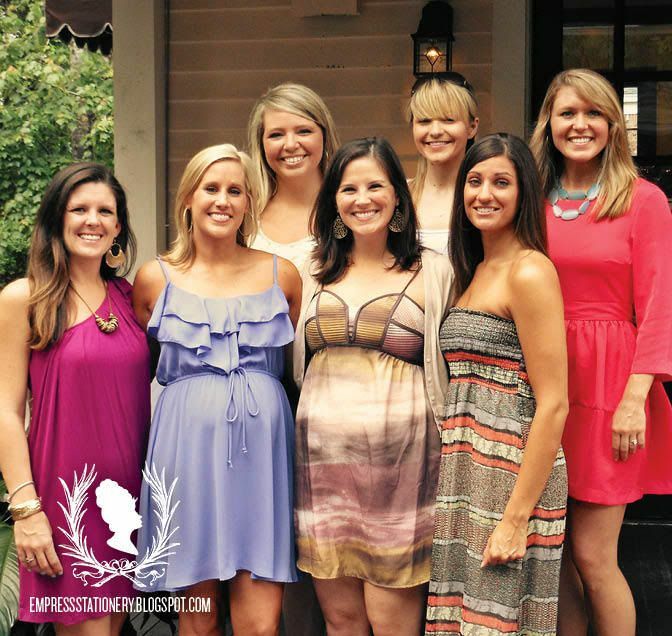 Baby Shower Invites for a Best Friend! The theme of the shower was "Baby Bee and Mommy-to-Bee." 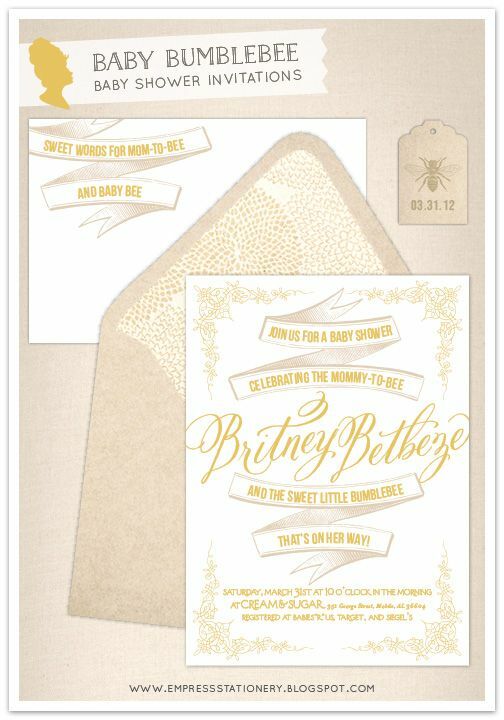 Britney's nursery is whites, neutrals, and gold, which I love. I found a patterned paper with metallic marigolds and cut liners for the envelopes. The invite was tied with metallic gold twine with a date tag, and I made cards for guests to write "Sweet" words for Britney and baby Grayson, which was bundled with the invite. 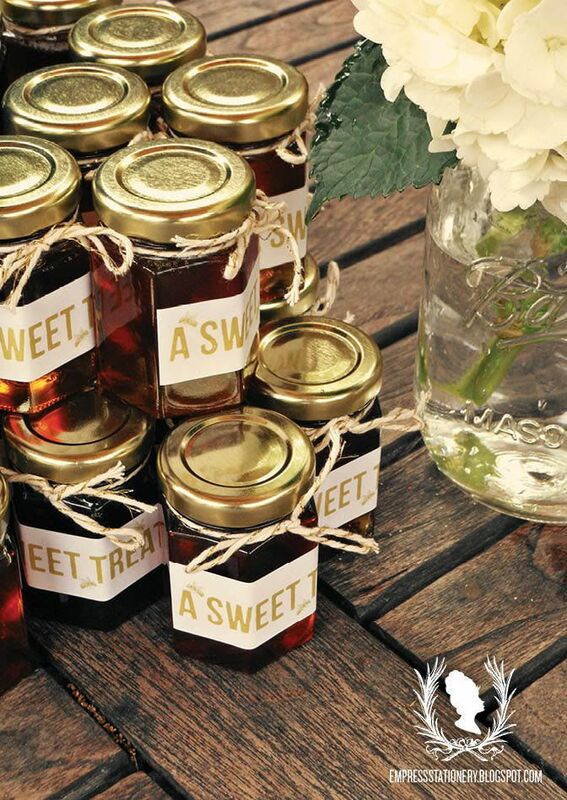 So with a Baby Bee theme, what's a better favor than little jars of honey? 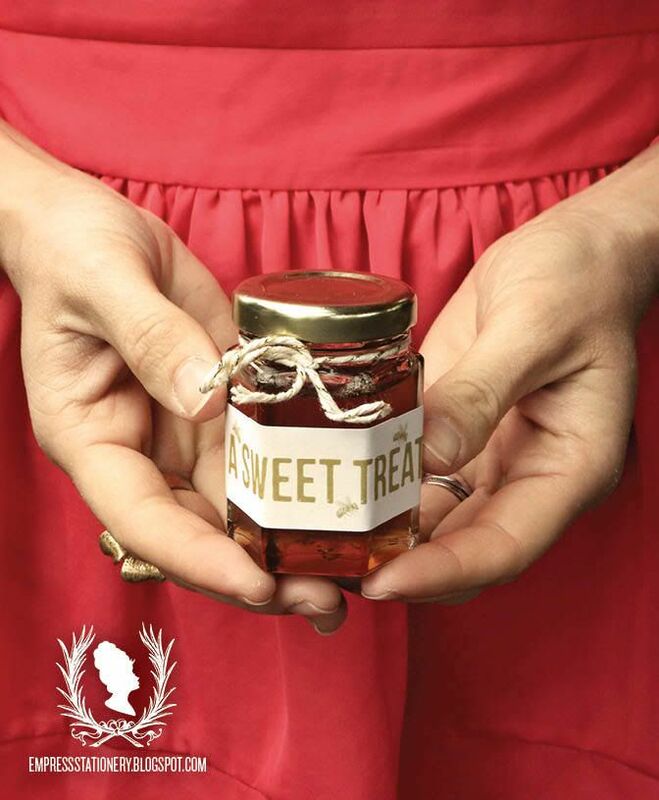 We found miniature jars and filled them with sweet Georgia honey, and I made matching "Sweet Treat" tags and tied them with the gold twine. For Britney's gift, I (of course) gave her stationery so she could say "thank you" to her guests in style! 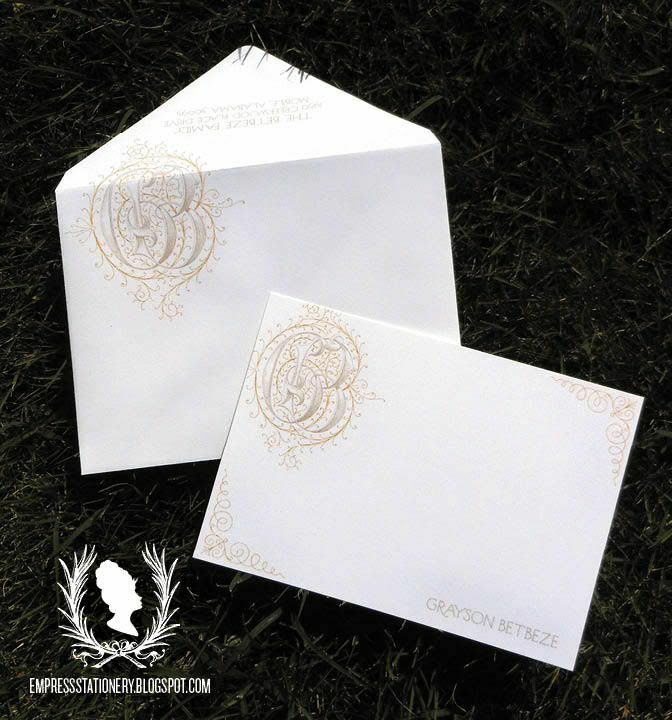 The cards are flocked with a GB monogram in gold and taupe, and the envelopes (my favorite!) have the same monogram wrapping from front to back with a return address.